EXPAND YOUR LEADERSHIP INFLUENCE. BUILD AWARD-WINNING CULTURES. ACHIEVE RADICAL RESULTS. LEARN FROM THE EXPERTS HOW TO UNLEASH THIS POWERFUL PATHWAY TO EXPLOSIVE GROWTH. Are you passionate about leadership? Do you believe that we can change the world for the better through the way we live and lead? Do you want to start 2019 with a massive dose of knowledge and inspiration to do it all? This is a very special and unique experience for you to connect with other Extreme Leaders and celebrate a new year of possibilities, while learning to operationalize the principles of LEAP (Love, Energy, Audacity, and Proof), which are changing leaders and cultures around the world. In this 2 1/2 day deep dive into the practices of Extreme Leadership and The Radical LEAP framework, you will work with phenomenal people from across the business spectrum and beyond. You will learn to expand your leadership influence in powerful and personal ways. You will master a proprietary leadership method, focus on real-time opportunities, work with real-life material, learn from groundbreaking practitioners, and hear from world-class guest speakers. 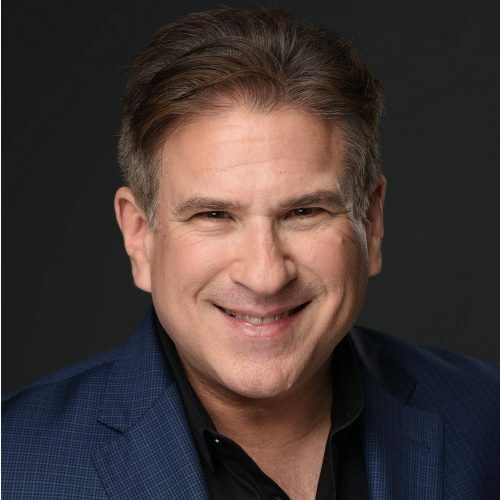 Steve Farber is the founder and CEO of The Extreme Leadership Institute, an organization devoted to working with individuals, teams, and organizations to develop Extreme Leaders and deliver radical results in business, non-profits, and education. His third book, Greater Than Yourself: The Ultimate Lesson In Leadership, is a Wall Street Journal® and USA Today® bestseller. His second book, The Radical Edge: Stoke Your Business, Amp Your Life, and Change the World, was hailed as “a playbook for harnessing the power of the human spirit.” And his first book, The Radical Leap: A Personal Lesson in Extreme Leadership, is already considered a classic in the leadership field. It received Fast Company magazine’s Readers’ Choice Award and was named one of the 100 Best Business Books of All Time. Attendees to the Extreme Leadership Experience are powerful influencers — from CEOs to entrepreneurs, educators, non-profit executives, and multi-level managers. They come from all walks of life – Fortune 500 companies, pharma, technology, consulting, education, consultants, and financial services to name a few. What each has in common is a shared passion about leadership and using their influence to better their organizations, the people whom they lead, and the world around them. The conclusion of the event itself is not an ending for the attendees, but more like a commencement — marking the beginning of a new chapter in their leadership story. As they take with them a greatly expanded network and begin to create new practices in their organizations, event sponsors will be top of mind. At the 2-1/2 day event, your sponsorship will be prominently featured and appreciated in a number of ways that will reach far beyond the event itself. 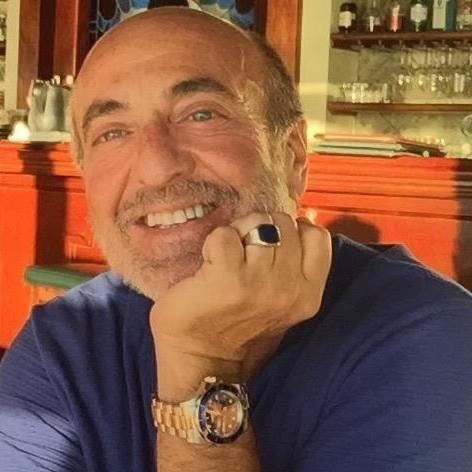 In addition to presence at the event, you will benefit from Steve Farber’s community that extends to tens of thousands of influencers who will gain exposure to your message whether through his outreach platforms including email lists, Twitter, Facebook, LinkedIn and Instagram networks. Please email Veronica@ExtremeLeadership.com for more information about sponsoring this amazing event! An intimate setting with the bestselling author of The Radical Leap, The Radical Edge, Greater Than Yourself, and the upcoming book, Love Is Just Damn Good Business, along with his Extreme Leadership Institute team of world-class facilitators, coaches and consultants...including this lineup of stellar speakers (all of whom are experts in operationalizing Love as a business practice and beyond). Please click on the pictures below to see full bio of the speakers. His third book, Greater Than Yourself: The Ultimate Lesson of True Leadership, is a Wall Street Journal® and USA Today® bestseller. His second book, The Radical Edge: Stoke Your Business, Amp Your Life, and Change the World, was hailed as “a playbook for harnessing the power of the human spirit.” And his first book, The Radical Leap: A Personal Lesson in Extreme Leadership, is already considered a classic in the leadership field. It received Fast Company magazine’s Readers’ Choice Award and was named one of the 100 Best Business Books of All Time. 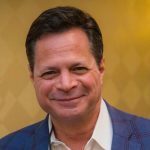 Farber is a member of the exclusive Transformational Leadership Council, and his column, The Extreme Leadership Chronicles, runs frequently on Inc.com. His new book, Love is Just Damn Good Business, will be published by McGraw-Hill in the fall of 2019. 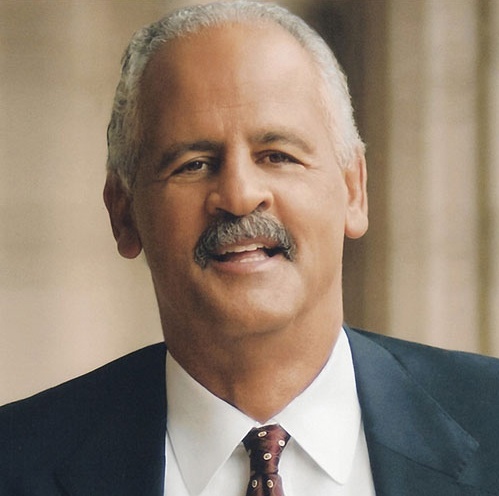 Stedman Graham is chairman and CEO of S. Graham & Associates. As a businessman, educator and speaker, he presents, consults and conducts training with corporations, educational entities, the military and veterans, nonprofits and the government. His Identity message is grounded in the fact that the key to success is self-leadership capability. The Identity Leadership programs, driven by his proprietary Nine-Step Success Process™, are based on the philosophy that individuals hold the power to their educational, career and personal success or failure. Graham has authored eleven books, including two New York Times bestsellers, You Can Make It Happen: A Nine-Step Plan for Success and Teens Can Make It Happen: Nine Steps to Success. His latest release, Identity: Your Passport to Success, was a Wall Street Journal Bestseller. His next book, Identity Leadership, will be released in early 2019. Clients have included the Indiana Pacers, Minnesota Vikings, Gulfstream Aerospace, Microsoft, Deloitte, Wells Fargo, Lenovo, General Dynamics, the US Departments of Labor, Education and Agriculture, CVS Pharmacy, and the Sonima Foundation (through which he taught in 150 high schools in 2 years). He has also lectured or conducted workshops in The Netherlands, Germany, Belgium, China, Canada, the UK, the British Virgin Islands, Aruba, Bermuda, South Africa, and Africa. Commitment to education and lifelong learning is central to Graham’s philosophy. He has served as an adjunct professor or guest lecturer at Northwestern, Harvard, Wharton, University of Chicago, the University of Illinois-Chicago, National University, Highpoint, Howard, Temple, Morehouse, UCLA, and Pepperdine to name a few. As a veteran of the United States Army, he has proudly served our active military, veterans and their families through programs at Fort Bragg, Fort Hood, Fort Bliss, Fort Jackson, NATO, the Military Child Education Coalition, and internationally at Landstuhl, Germany and the US Military Community in Rotterdam, Holland. A proud native of Whitesboro, New Jersey, Graham has demonstrated an enduring pledge to youth and community. His Teens Can Make It Happen Program has been utilized in numerous middle and high school in the US and abroad, providing positive growth for our leaders of tomorrow, as well as their parents and teachers. With dedication to community development, Graham is the founder of the Concerned Citizens of Whitesboro and Concerned Citizens of Lake Waccamaw, NC and a co-founder of The Community Alliance for Youth Success. He is an ongoing contributor to the Cleveland Foundation Tru2U Project educating youth and their mentors, and to the organization MaDi through which he provides Identity Leadership education to thousands of refugees who are integrating into new communities and cultures. 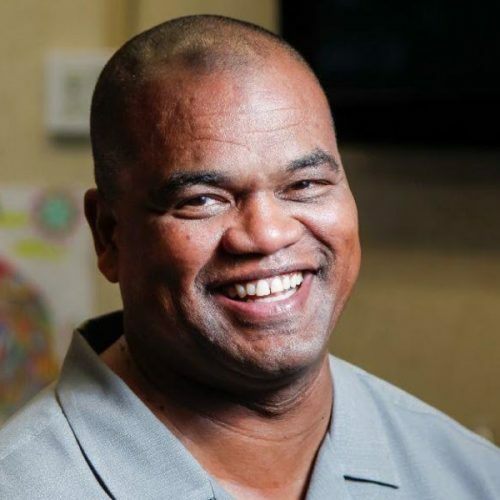 Graham holds a Bachelor’s degree in Social Work from Hardin-Simmons University, a Master’s degree in Education from Ball State University and an honorary doctorate in Humanities from Coker College. John Beeder is President and Chief Executive Officer of American Greetings and a member of the Company’s board of directors. 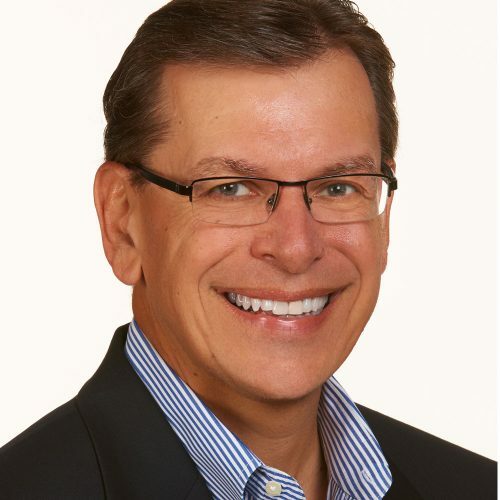 John joined American Greetings in 2008 as Senior Vice President, Executive Sales and Marketing Officer. In that role, he led product, sales and marketing efforts for North America while American Greetings significantly grew its market share in the U.S. and Canadian markets. In 2012 he assumed leadership of a core operating group aligning the Company’s product, marketing, production, procurement, distribution, sales and planning activities into one organization. John has worked for more than 30 years in the greeting card industry—a business he is passionate about. He has held executive management positions in marketing, product development, supply chain, finance and new business development. 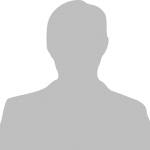 Prior to joining American Greetings, he had served as managing partner and chief operating officer of Compact Clinicals, a medical publisher in Kansas City, Missouri. He is a former president of the U.S. Greeting Card Association. 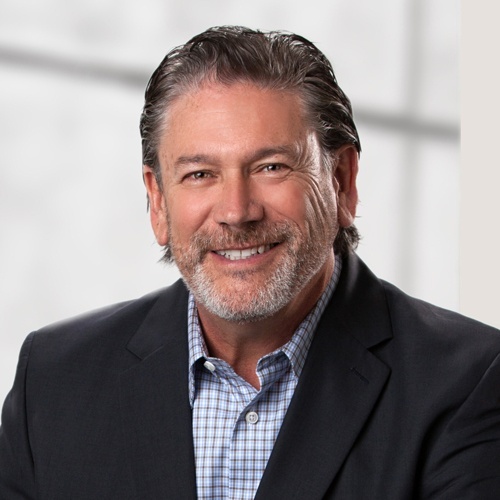 John has served on the board of directors of Dean Operations, a real estate company in Kansas City, as well as enterprises owned by his family. John earned his Bachelor of Science degree in Editorial/Broadcast Journalism from Northwestern University and his Master of Management degree in Marketing and Finance from the Kellogg Graduate School of Management at Northwestern University. John and his wife, Stephanie, have two grown children, Christy and David. 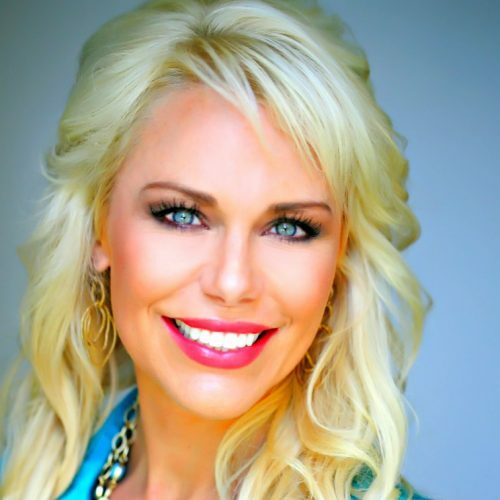 For over 35 years, Debra Poneman, bestselling author and founder of Yes to Success Seminars, has shared her success system, now used by tens of thousands in every corner of the globe, to create lives of not only success and abundance, but deep and profound happiness, self-love and inner fulfillment. Known as the mentor to the mentors, Debra’s students have used her teachings to become mega-successful entrepreneurs, renowned transformational leaders, NY Times bestselling authors, millionaires, billionaires—even household names. But Debra’s greatest gift is her deep belief in each person’s magnificence and her ability to convey that belief to activate in her audience members profound and lasting transformation. 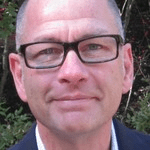 Tommy Spaulding is the Founder & President of Tommy Spaulding Companies, a leadership development, speaking, training, and executive coaching firm based in Denver, Colorado. A world-renowned speaker on leadership, Spaulding has spoken to hundreds of organizations, associations, educational institutions, and corporations around the globe. His first book, It’s Not Just Who You Know: Transform Your Life and Your Organization by Turning Colleagues and Contacts into Lasting, Genuine Relationships, published by Penguin Random House in 2010, quickly climbed to the top of the New York Times, Wall Street Journal and USA Today national bestseller lists. His new book, The Heart-Led Leader, published by Penguin Random House in October, 2015 is a New York Times and #1 Wall Street Journal national bestseller and was also listed on Inc.com’s Top 100 Business Books of 2015. Spaulding rose to become the youngest President & CEO of the world-renowned leadership organization, Up with People. In 2000, Tommy founded Leader’s Challenge, which grew to become the largest high school civic and leadership program in the state of Colorado. He is the Founder & President of the Global Youth Leadership Academy as well as the National Leadership Academy, a leading national non-profit high school leadership development organization. 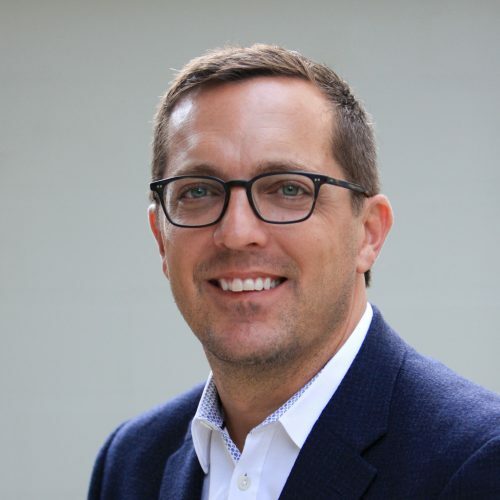 Previously, Spaulding was the Business Partner Sales Manager at IBM/Lotus Development and a member of the Japan Exchange and Teaching (JET) program. He received a BA in Political Science from East Carolina University (1992); an MBA from Bond University in Australia (1998), where he was a Rotary Ambassadorial Scholar; and an MA in Non-Profit Management from Regis University (2005). In 2006, Spaulding was awarded the Outstanding Alumni Award by East Carolina University (ECU) and in 2007, Spaulding received an Honorary PhD in Humanities from the Art Institute of Colorado. In September, 2012 Spaulding was named by Meetings & Conventions Magazine as one of the 100 MOST FAVORITE SPEAKERS in the nation. 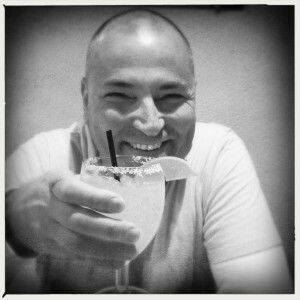 Tommy resides in the Denver metro area with his wife and children. As The Kin, the Brothers Koren were signed to Interscope/Universal Records. Their music has been featured in major movies, they’ve appeared on Conan and traveled the world as headliners alongside the likes of Coldplay, Pink, and Rod Stewart. Despite all of this, however, they experienced first hand how restrictive the music industry was, and after fifteen years they chose to stop chasing approval and rebelliously fully express their value in the world. 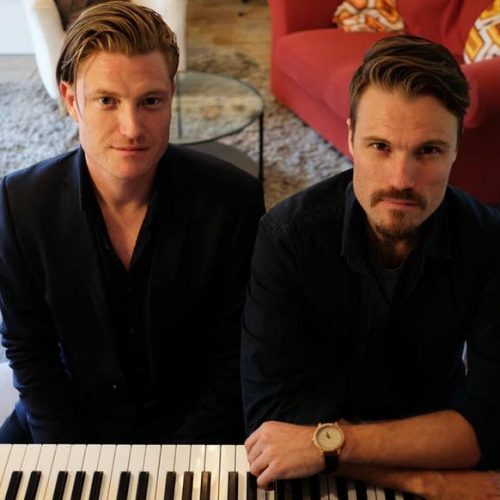 The brothers developed The Songwriter’s Journey for those who’d always had a heart for music but abandoned it along the way. They shepherd clients through a three month process to reclaim their voice, and integrate their full expression into their lives. Starla Lewis is a woman on a mission. For more than 40 years Starla has committed herself to bridging, unifying and empowering multi-culturally diverse communities. 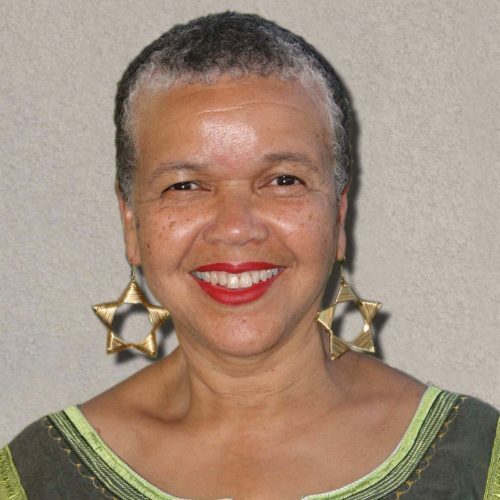 As a professor of Black Studies, poet, author, and life mastery consultant, Starla has inspired change from Kindergarten through post secondary classrooms, prisons, juvenile facilities, board rooms, corporate offices, national conferences, cultural and community events, as well as on radio and television. Starla Lewis has helped people cultivate leadership in their academic, professional and personal lives by teaching them how to be truth seekers and agents of change who mirror love, acceptance, and respect. She has taught at San Diego Mesa College for over twenty years, where she served as Department Chair for eleven years, and is currently a Professor Emeritus. She has also served as an instructor at San Diego City College, Palomar College, San Diego State University, Webster University, Union Institute, San Diego High School and Lincoln High School. Starla is the C.E.O of C.E.L.L (Celebration of Everlasting Life and Love) a human potential consultancy firm, where she has worked for over thirty years as a life mastery coach. Through C.E.L.L she teaches people how to utilize love and life skills to heal and transform themselves and their communities. Through teaching people how to share compassion, love, mutual respect and understanding, her work has helped bridge families and communities. 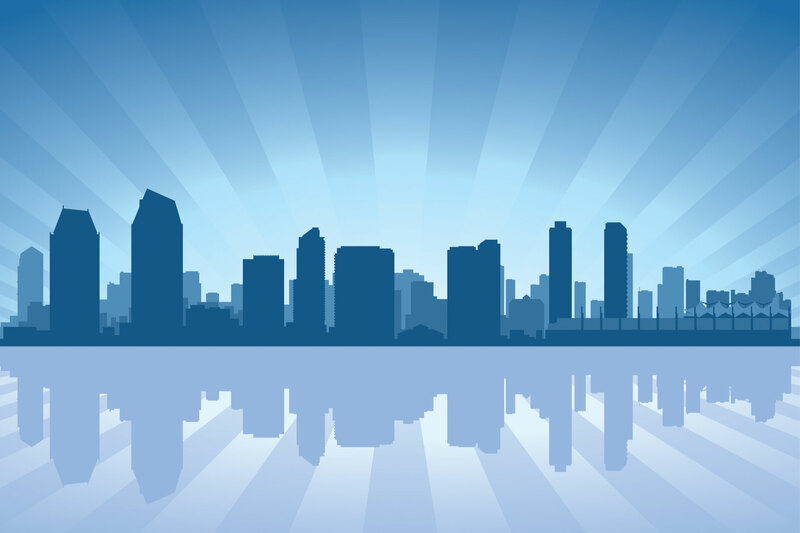 As a community leader Starla Lewis has served as a member of San Diego boards and committees, which aim to empower women and diverse communities. She has served as a board member for the San Diego Mayor’s Commission on the Status of Women, the National Coalition of 100 Black Women, the I Am My Sister mentor program, and the California Black Women’s Health Project, to name a few. She is a seven-time recipient of the Mesa College “Teacher of the Year” award, and was profiled by the San Diego Union Tribune as the Bob Marley Peace Award recipient for leadership in 2002 and 2003. Starla Lewis has received numerous honors including an induction into the Women’s Hall of Fame from the California Women’s Museum, the “Unsung Hero Award” from KPBS, the “Distinguished Community Leader Award” from the Jenna Druck Foundation’s “Spirit of Leadership” program, the “World of Difference Award” from the San Diego County of Education department’s “Honoring Women in Prevention” committee, and the “Outstanding Alumni Award” at all three of her alma maters, San Diego State University, Pasadena City College and John Muir High School. David Corbin has been referred to as “Robin Williams with an MBA” because of his very practical, high-content speeches, coupled with real life, entertaining and sometimes side-splitting stories and applications. He’s know as the “Mentor to Mentors” and Entrepreneur Guru as he’s trained and advised, mentored and guided many luminaries in the fields of speaking, consulting, entrepreneurship and big business. A former crisis intervention counselor with a background in healthcare, he has served as a management and leadership consultant to businesses and organizations of all sizes—from Fortune 20 companies to businesses with less than 1 million—and enjoys the challenges of all. He has worked directly with the president and office of the president of companies such as AT&amp;T, Hallmark, Dominos, Kaiser Permanente, Mountain States Mortgage as well as the Hon. Secretary of Veterans Administration and others. He has been a featured speaker for Inc Magazine and rated top 5% of speakers, Secret Knock, Income Store, City Summit, Digital Footprint, CEO Space and many more. David was awarded the Innovation of the Year by Bank of America and presented in association with Former Prime Minister Margaret Thatcher, Tom Peters, Sec. James Baker, Maya Angelou and others. Featured in Forbes Magazine, Inc.Magazine, NBC, FOX, and was star and host of the movie, Pass It On as he hosted such gifted contributors as Brian Tracy, Gavin Keilly, Greg Reid, Les Brown, Mark Victor Hanson, Bob Proctor, Evander Holyfield, Mario Lopez and others. An author of numerous books including,ILLUMINATE THE NEGATIVE: Converting Challenges into Opportunities, Preventing BrandSlaughter: How to Preserve, Support and Grow Your Brand Asset Value, Psyched On Service: Building a Total Service Mentality, From Image To Influence, From ChangeVictim to ChangeMaster,From Internment to Fulfillment, PointCount, ReSanity: Truths About Food, Pharma and Healthy Living in an Insane World, From WTF to OMG with some LOL. Jenna Lynch is the President of The Extreme Leadership Institute. She is known as a positive, dynamic Catalyst, Advisor, People Expert and Confidante. She is a highly influential, dynamic, tactical HR Leader with creative and charismatic strategic vision and ability to inspire and enroll people at all levels in the organization to produce exceptional results. Jenna is a confident motivator able to fully engage and contribute at the highest levels in a high-energy, fast-paced, progressive company that is committed to leading edge people practices. Her generous spirit is contagious and her life experience is inspirational. With over 23 years’ experience, a degree in Business and Marketing, serving on several Executive Teams, being employed as a Senior Executive (People Culture Officer & Vice President of Human Resources), owning her own businesses and being hired to consult for several companies and Advisory Boards, Jenna has had the opportunity to deeply understand all aspects of a business, its culture, and the dynamics of its people. Jenna has worked with all sizes of companies. She has helped start-up and mid-size companies build a solid infrastructure, and has worked with large companies to mentor existing HR staff in an advisory capacity or tackle supplemental HR initiatives . She also specializes in developing compelling company cultures and has been involved in many culture transformations. 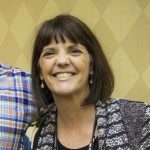 She is a natural Leader (Executive Advisory Board Level), charismatic Speaker (Audiences of 50 to 5,000) and engaging Trainer (50 Training Topics), yet still considers herself a life-long learner. She is grateful to have worked side by side with C-Level professionals and powerful Icons that are regarded as some of the brightest individuals in their field, and forward thinking in their respective industries. And, in turn, has given back and mentored over 800 young women for over 24 years on a volunteer basis. 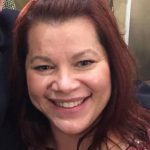 Jenna is passionate about Internal Employer Branding, Personal Branding, and Leadership Development, topics that she has been living and teaching for 15 years. Her Internal Employer Branding methodology for Corporations helps define organic, congruent and effective culture strategies to drive results, of which has earned several of her clients prestigious “Best Workplace” awards. 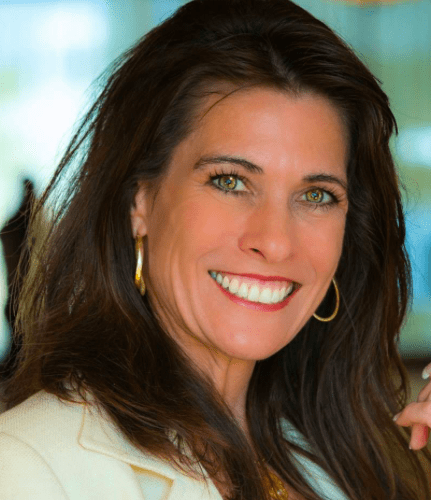 In turn, she has helped hundreds of people “define themselves” and realize their full potential through the Extreme Leadership and Personal Branding processes. What differentiates Jenna from others? Her contributions have made radical and measurable results, period. A unique mix of business and life experiences has given Andrew valuable insight and compassion, enabling him to facilitate profound transformation in people and companies. For almost 50 years Andrew has been a magician and is a member of London’s Magic Circle, the highest honor in magic. 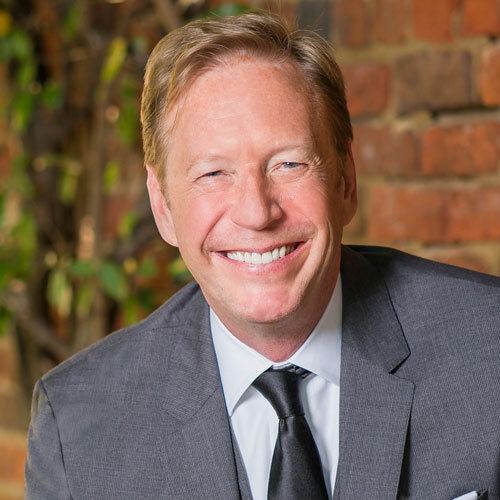 Ross Perot encouraged Andrew to use magic in his business presentations, and he has been wowing audiences for the last 35 years. Magic is the art of transformation. Andrew uses it to teach people how to rethink possibilities and obstacles, opening the door to new ways of thinking and acting. Andrew’s experience and results prove that the human mind and heart are sources of incredible power. He teaches managers and leaders how to create environments where innovation, resilience, and capacity for change thrive. Allan is a best-selling author, keynote speaker, adventurer, and television host. over 70 countries, photographing, writing, and blogging about them along the way. 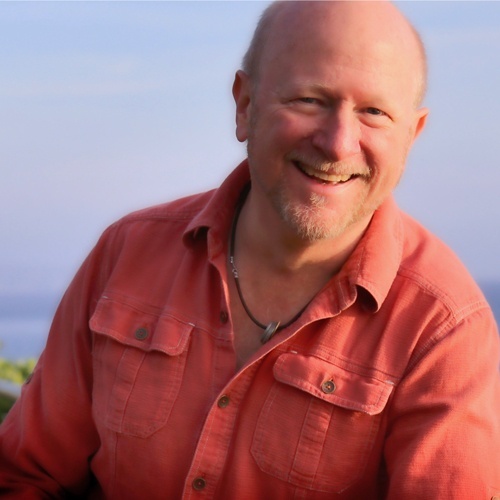 In his bestselling book, FORKS: A Quest for Culture, Cuisine, and Connection, Allan brings to life his three-year motorcycle adventure — in stories, photos, and food from each of the 35 countries he traveled. • Competed in the most grueling motorsport race in the world – The Dakar. Before embarking on his adventures, Allan co-founded Wirestone, the national digital agency which Accenture acquired in 2017. 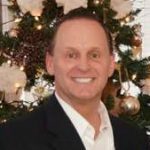 Mitch Luciano has been President and CEO of Trailer Bridge, Inc. since 2012, having originally joined the company as the VP of Logistics. Prior to his tenure at Trailer Bridge, Mitch spent over 19 years in the Transportation and Logistics industry with large international and domestic logistics organizations like NYK Logistics North America and C.H. Robinson. An accomplished entrepreneur, Mitch has also been involved in start-up ventures in the logistics and system development arenas. Bryon Stephens is an accomplished C-Suite veteran of the Franchise & Food Service Industry. He is also a business growth monster. He began his career as a dishwasher in the Holiday Inn of his hometown of Logansport, IN. Within a short time, Bryon was asked to move into a management role with the company, which set him on the path to a series of stellar leadership achievements. In 1992 he took the role as the Director of Franchise Development for A&W Restaurants. The once legendary brand had dwindled from 2300 stores in the 1970s to only 320 stores when Bryon came on board. By the time he left the organization in 2004, A&W had bounced back to 1400 stores and was dubbed the “Hot Again” concept by Nation’s Restaurant News. Along the way, A&W acquired Long John Silvers and Bryon was asked to be the V.P. of Franchise Development for both brands under the Yorkshire umbrella. That led to his strategy of co-branding their restaurants together with Tricons’s brands KFC, Taco Bell, and Pizza Hut—which turned out to be a revolutionary idea that fundamentally changed the branding industry. 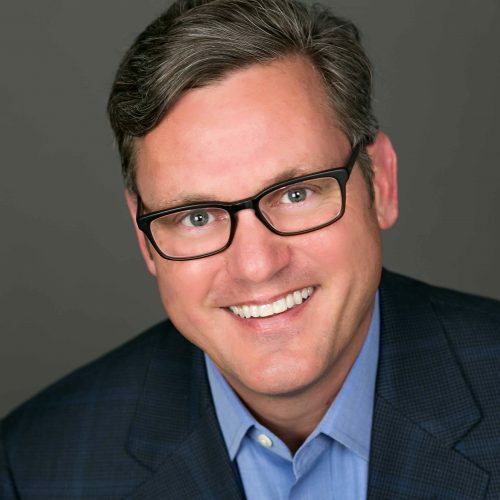 As Tricon and Yorkshire evolved into the entity now famously known as Yum Brands, Bryon took the helm as head of development for all of the company’s 5 major brands. Bryon is a founding Partner in the firm Pivotal Growth Partners (PGP), a franchise growth and consulting firm that specializes in assisting small, emerging market franchise companies in their growth. 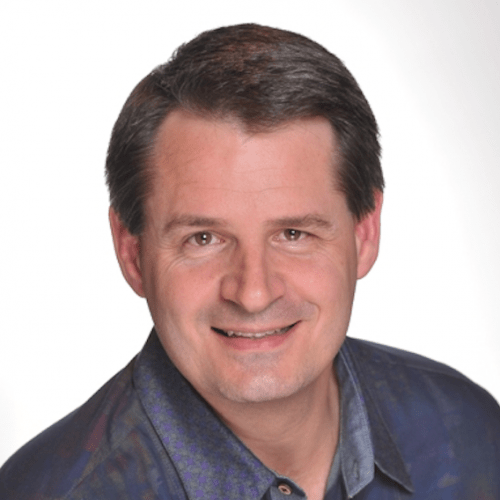 Bryon is a founding advisor of The Extreme Leadership Institute where he is helping to grow the organization by bringing his proven leadership and business skills to bear on the Institute’s present and future plans. Simply put, Bryon is an Extreme Leader who gets radical results by Cultivating Love, Generating Energy, Inspiring Audacity and Providing Proof—and teaching other leaders and organizations to do the same. And—far from a PS—Bryon is also a loving father to 9 children and step children and a devoted husband and partner to his wife Tricia. Brent Rice and his teams at Active Healthcare Receivables, LLC (AHR) and Balanced Healthcare Receivables, LLC (BHR) run call centers in the healthcare accounts receivable management space. AHR is a Hospital customer care call center and BHR is a professional third party debt collection firm. Brent began his call center career as a mutual fund trader and call center representative for Fidelity Investments in 1986. In 1988, he began his career in the debt collections business as a sales representative and quickly moved to Administration/ Finance/ Operations. In 1991 he became an owner of Allied Creditor Service Incorporated (Allied) out of Boston MA. In 1996, he created Outsource Receivables Management, Inc. (ORM). In the span of 11 years, Brent and his team built these two companies into a 350+ employee management firm with clients across the US. In 2002, Brent sold these companies (Allied and ORM) and ran the combined organization with 800 employees and 29 offices around the US. In 2004, Brent joined the Hilco Trading Company out of Chicago, IL and helped pioneer the debt buying industry within the healthcare space. In 2006, Brent and his partners sold this company to Goldman Sachs. After some deliberation and angst, Brent realized that he missed running business operations, so in 2007, he created BHR and in 2018, AHR was born. Both AHR and BHR have the privilege of working with clients where there is a philosophical fit based on honesty, authenticity and reasonableness. With 120 employees and over 100 clients across the United States, they have positioned themselves to grow–but only where and when it makes sense. Most important, Brent and his senior management team embrace the concepts of accountability and “doing the right thing” for their companies and associates. The AHR/BHR management invests heavily in its people, culture, clients and technology and the companies are fully engaged in a multi-year endeavor to operationalize love as a business principle and embody the Radical LEAP and other Extreme Leadership practices in their culture. 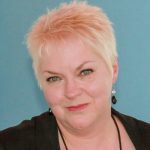 Indie has worked in the Human Resources and Corporate Development field for over 30 years and is currently in the role of Director of Corporate Development at a fast-growing, award-winning logistics firm. 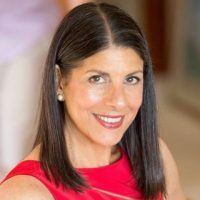 Her extensive background includes senior and executive roles in human resources, administrative operations, corporate development, and marketing, primarily with technology and engineering firms headquartered in Northeast Florida. Throughout her career her work has included identifying organizational development needs and creating and leading initiatives and programs to address them. A Florida native, Indie received her undergraduate degree in business and her MBA from the University of North Florida. 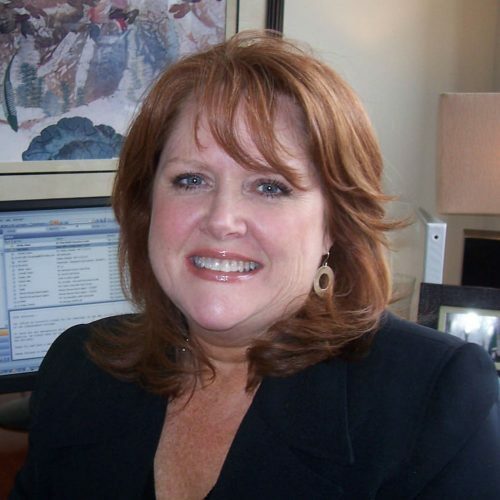 In addition, she holds both her SPHR and SHRM-SCP designations in human resources. Indie enjoys spending time with her daughter, hiking, travelling, and teaches and practices yoga whenever time allows. 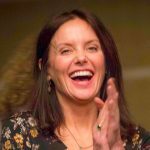 Her strong sense of mindfulness and connection, which she gained throughout years of extensive yoga teacher training, is something she uniquely brings into her leadership and program development and facilitation with a business perspective. She has heart for helping others and a fire in her soul to teach and share the principles of Extreme Leadership around the world because of the radical results she has experienced first-hand and seen in others as a result of it. Meeting Mike Kociela you wouldn’t believe he’s been a force in the entertainment industry for over 30 years. He began his musical journey in fourth grade by picking up the violin but quickly switched to the trumpet and guitar. While attending college on a full ride music scholarship, Mike started a rock band called New World Spirits, which eventually landed a major label deal with Universal Records. His band traveled coast to coast for nearly ten years, made it on to virtually every radio station and lived the rock dream. However, the road began to lose its luster and the band decided it was time to move on. That’s when the call came from a prominent entertainment agency offering Mike the position of local talent buyer. After two years of climbing to the top, he outgrew his role and launched Entertainment St. Louis. Mike set out on a tireless quest to become the region’s premier entertainment marketing agency and that is exactly what he and his team did. One production lead to another and the client list began to build. He went on to pursue a storied career of creating, owning, and managing iconic large-scale festivals with hundreds of thousands of people in attendance—events like the multi-award-winning Taste of St. Louis festival, The San Diego Taco Festival, and the annual 4th of July Celebration under the Gateway Arch, to name just a few. And as notable as those accomplishments are, there’s one fact that separates Mike’s events from the rest: a perfect track record of absolutely no violence or police incidents in any of these massive gatherings. The secret, Mike says, is in intentionally creating every detail of the event’s “culture” to contribute to a safe and enjoyable experience for the attendees. Create an experience that the people will love, and the rest takes care of itself. Mike built and co-founded The National Blues Museum in St Louis and is now pursuing his new passion by creating and co-founding The Museum of Beer in San Diego, which is due to open in 2020. When he’s not behind the desk crunching out production schedules and creating new projects, Mike still finds time to pick up the bass guitar at jam sessions, work on vintage motorcycles, and talk shop with his chef buddies about his latest hot sauce recipe. Ken and Kerri Courtright are the founders of Income Store, one of the fastest growing companies in the US. Their company has helped hundreds of families and businesses generate immediate passive revenue through revenue-generating websites. 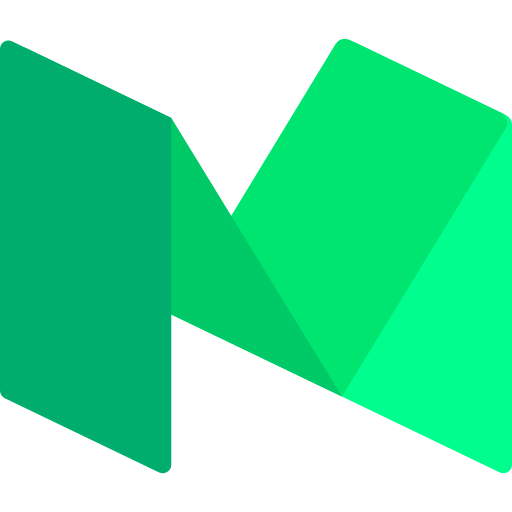 Currently, their 160 employees build, manage, and monetize over 900 sites for investing partners around the world. Our great sponsors from Income Store will host a drink and hors d’oeuvres reception followed by a “campfire” group discussion with our fabulous guest panel. Lunch with the group is (of course) included! A special presentation and performance by The Brothers Koren, Steve Farber and…you? Followed by a music jam session into the night. Bring your instrument if you’d like to play, your shoes if you want to dance, your ears if you want to listen, and your mouth if you want to talk with your fellow Extreme Leaders. Or…all of the above! I Loved every minute! The highlights for me were meeting Steve Farber and understanding he is exactly how I wanted him to be, the messages from all of the other speakers, and the music! It changed my perspective on how I want to be as a leader and a person. I left each day feeling a sense of new empowerment. People were willing to share ultra personal stories/experiences (with a veritable stranger) if they thought it would help me - Amazing! I loved the presentations by individuals who shared their challenges, heartbreaks, and difficulties with transparency and audacity, to become successful inspirational leaders in their fields and lives. The whole event just rocked. 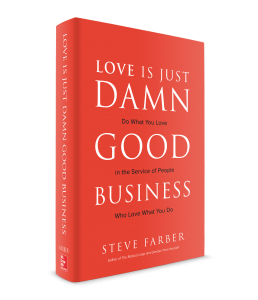 It was demonstrated in story and in many examples throughout the Extreme Leadership Experience that love is just damn good business. My leadership tank was definitely filled – it was just a remarkable collection of impressive and dedicated people in the room – and it was inspiring to be so drawn to the competency and commitment demonstrated by those around me. But I will never forget the intense feeling of personal responsibility to go forth from here and ‘do leadership’ very intentionally in the moments, days, weeks, months, and years ahead. I've never attended anything like this in my life. I have traveled many times to the U.S. for business coaching, but not for leadership. Sad thing is, at least from my perspective, they should be the same thing. We are not separate from how we live or how we do business. Everyone there--and I mean everyone--was genuine, caring and loving. How weird is that...weird in that I've never experienced it before at events. I felt like I was home. This was my place. I belong here. I have never felt that way before. The Extreme Leadership Experience was a great blend of meaningful content, emotional stories that connected the audience to the power of LEAP,great entertainment, and interactive sessions to keep everyone engaged. It's a truely remarkable event. The experience inspired me to bring out the best in others, and the energy generated from this event is sticking with me even months later. Thank you for helping to make this remarkable event possible! Get the latest news and updates from Steve Farber and The Extreme Leadership Institute. We'll never share your contact info!